We all know by now that healthy skin requires plenty of maintenance. There’s the washing and the scrubbing and the picking – oh wait, don’t pick! Definitely don’t pick. Instead follow the advice researched here for your best AM and PM (Morning and Evening) skin routines to the healthiest, glowing skin you never knew you could have. Mornings are rough. A typical day might involve the kids, the carpool and don’t forget breakfast. So when are you to have time to wash your face? 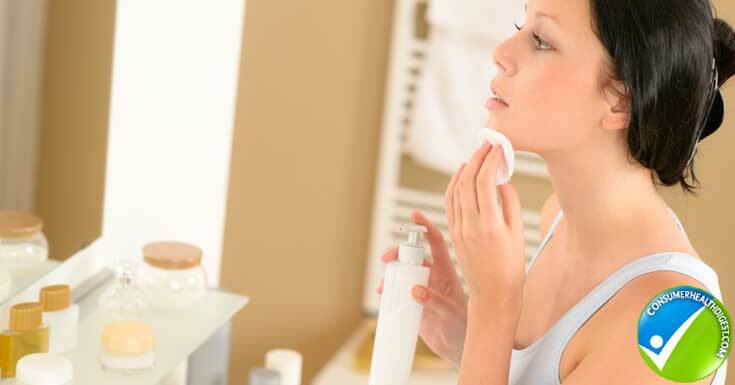 “There’s really no reason to wash your face in the morning, especially if you thoroughly cleansed the night before,” says Dr. Ranella Hirsch, dermatologist. “But, at the same time, there’s nothing wrong with cleansing the face every morning, as long as you’re not over stripping the skin with harsh, drying cleansers. It’s just a matter of personal preference. You read it folks, its unnecessary roughness to the skin. Look no further, follow these tips I’ve dug up across the net for an all inclusive morning face wash.
Exfoliate – For moderately oily skin – a great way to wake your senses in the morning! If you have dry or sensitive skin, it may be best to use a moisturizing scrub instead and only exfoliate once every week or two. Tone – Lots of women skip the toner, and this is okay too… but if you do decide to use toner know that it works well to balance your skin and prepare it for moisturizing. Moisturize – This very likely is the most important part of your morning routine, no matter how much or how little you wash your face in the morning. Use a lighter weight formula in the morning time and of course, make sure it has sunscreen. SPF 30 is the general recommendation. DePuff – Waking up with puffy eyes? Put your day cream in the refrigerator for a few minutes before dabbing under your eyes to reduce swelling. You can also use tea bags (black or chamomile tea is best). Use them after using them for your morning tea and then place them in the fridge for a dose of cold air before placing on your eyelids for just a few minutes. You could also start your day with a protective skin cream such as Dermaxsol. This product has been specifically formulated as a facial moisturizer including SPF 30 – one of the most important ingredients in ANY skin moisturizer that you’re using for the daytime hours. Nourishing and hydrating your skin while helping to defend against sunburns, Dermaxsol leaves skin feeling soft and smooth. Now, the PM routine is a little different. You’re going to need to be sure you have time and energy in the night (before bed) to cleanse your face and moisturize, especially if you don’t plan to wash in the morning. First, it’s most important to get makeup off your face before bedtime. Use coconut oil to remove eye makeup – it will also help your eyelashes grow. Next, rinse with lukewarm water and a gentle facial cleanser such as Rejuvoderm. This is a professional strength facial cleanser with concentrated properties to remove dead, dull and damaged cells from the epidermal layer to revive and refresh the entire skin surface. Gently wash your face with the cleanser using a circular motion and avoiding your eyes. Regardless of what you’re using, try to make sure it’s fragrance-free as this can aggravate your skin. After you’ve successfully removed the daily grind from your face, it’s time to apply a soothing mask to help your skin care products sink in more efficiently. A popular product line Natural Health Source is contributing towards the skincare user must stroke into. Try a Honey Mask. I like Manuka Honey with Baking Powder, Coconut Oil and a drop of lemon juice. The honey acts as an antioxidant (among other benefits), while the baking powder exfoliates beyond whatever your face wash missed. The coconut oil helps with dry skin and the lemon juice is good for a splash of refreshing vitamin C.
Use Moisturizer! You can use the same moisturizer day and night but there really is a difference in the consistency… Not to mention, you should be using a daytime cream with SPF, night time creams don’t have SPF, simply because you’re not in the sun at night. Look for ingredients that display antioxidants, peptides and vitamins C and A. Always choose hydrating products – remember your skin took a beating today! Don’t forget eye cream – after you’ve put on your night cream. Eye cream “protects and hydrates the delicate skin of the eye,” says Dr. Tzu. Some creams are formulated with caffeine, which reduces puffiness, and nacinamide, which increases moisture levels. Combined, these factors battle wrinkles and drying of the skin. Sleep and exercise are the best things you can do for your skin in general. Remember, it is the largest living organ on your body. Sleep is imperative for your beauty routine. Most doctors recommend no less than 7 hours per night but would rather suggest at least 8 hours. Finally, always discuss your skin care routine with your dermatologist for best results. You’ll want to discuss the ingredients in any products you purchase and keep in consideration of the side effects of any medications that you’re taking as well. For example, some medications can leave you more prone to sun burn. The products mentioned here are great remedies to choose from.